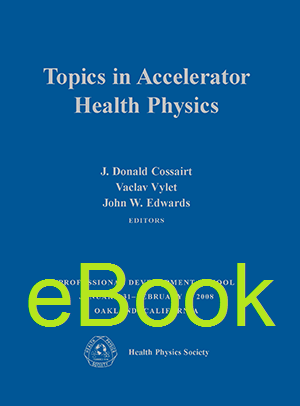 This book covers topics presented at the Health Physics Society (HPS) January 2008 Professional Development School, held in Oakland, CA. These sessions provide detailed study for students who are currently working in the field. Topics covered include shielding and shield codes, new accelerator facilities, radiation detection instrumentation selection and calibration, regulatory legal and public concern, environmental issues, homeland security human and cargo imaging, interlocks and safety devices, radiation spectroscopy, radiation dosimetry, operational health physics, industrial radiation-generating machines, and health physics of research facilities.